With the Ballon d’Or 2018 winner set to be announced in December, Paul Pogba has shared his view on who he would like to see win it. Lionel Messi and Cristiano Ronaldo have dominated the award since 2008, but this could potentially be the year that their monopoly is broken. From Luka Modric winning the Champions League and guiding Croatia to their first ever World Cup final, to the members of the France squad which secured World Cup glory in Russia this past summer. 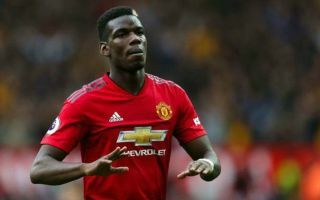 There are a number of top candidates who arguably deserve it more than the two iconic figures, but Pogba, who has been announced as one of the 30 candidates himself, believes that one of his French teammates deserves it more and would be delighted to see them take the award home. “Whether it’s Grizou (Griezmann), Kylian (Mbappe) or Raph’ (Varane), they deserve it much more than me,” Pogba told AFP, as reported by Sky Sports.”I can not designate one. But I hope with all my heart that this is one of the three. Griezmann of course also landed the Europa League trophy with Atletico Madrid last season, while Varane won the Champions League with Real Madrid. In turn, perhaps they have a stronger argument if the decision on the winner comes down to who has won more, although given the influence that Mbappe has had for Paris Saint-Germain and France, and similarly to Kante with Chelsea and Les Bleus, they can’t be ruled out. It sets up a fascinating wait to see who wins the Ballon d’Or, but Pogba is undoubtedly hoping that one of his compatriots secures it this time round and it would arguably be a shock for many if either Messi or Ronaldo walk away with it once again.